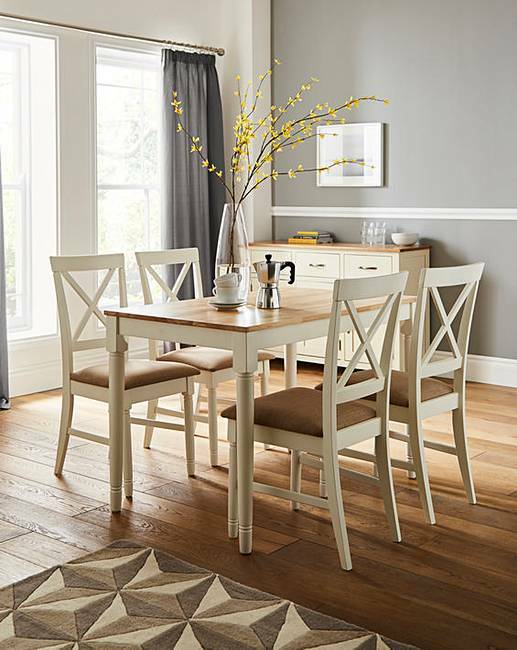 The Knutsford dining table with four chairs is a beautiful country inspired dining range finished in solid wood. Painted in a soft ivory colour with a contrasting oak effect top. 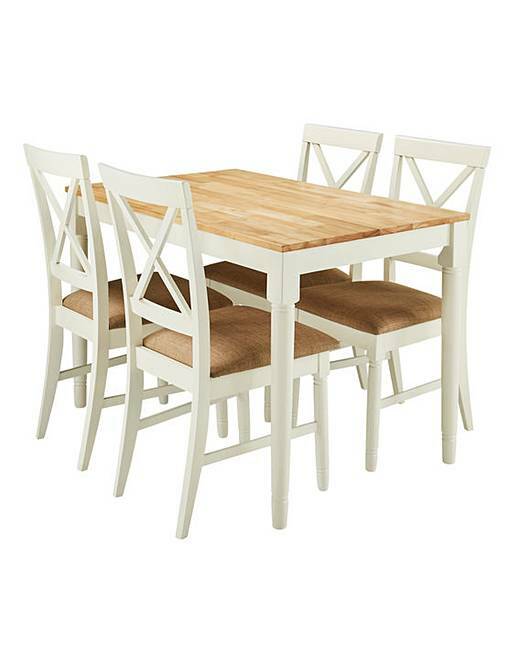 Complemented by four solid wood chairs finished in a matching ivory colour with a cross back design. Table: H.76 x L.120 x W.75 cm. Chair: H.90 x W.43 x D.50 cm. Seat height from the floor 45cm. Maximum user weight 86kgs. We aim to deliver your order within 12 working days, providing that the items are in stock at our own warehouse, or by the time indicated if being despatched directly from our supplier, larger items requiring 2 man delivery will be booked in for delivery by the carrier after despatch.